Karva Chauth / Karwa Chauth, one of many Hindu festivals, is a fasting ritual observed by all married Hindu women who seek the longevity, prosperity and well-being of their husbands. This festival is very popular amongst married Hindu women in the western and northern parts of India, primarily in Punjab, Rajasthan, Haryana, Gujarat, and Uttar Pradesh. During the Karwa Chauth festival, married Hindu women dedicate the day to their husbands. 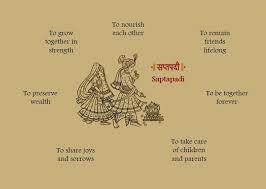 Normally, women who observe this festival are called “Saubhagyavati” meaning “joyous and happy status of wifehood.” The festival was emerged also as a day for celebrating autumn. 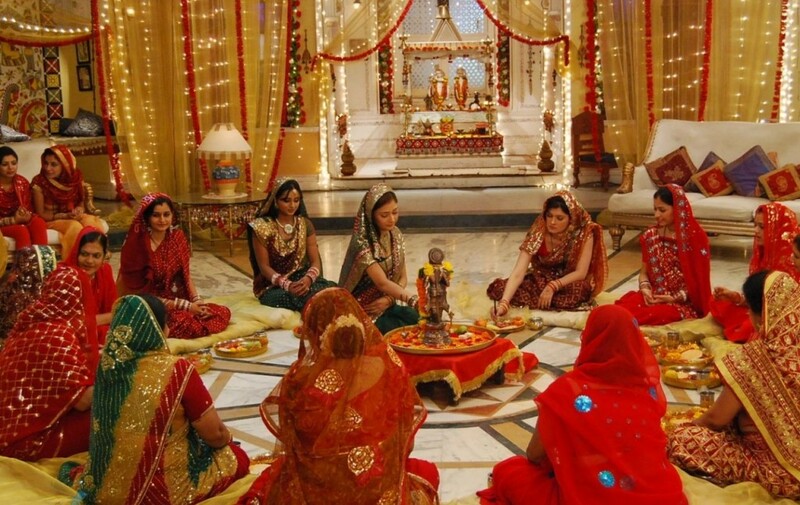 Hindu married women enjoy the company and companionship of relatives and friends. As of recently, the celebration has been given a more religious touch. This festival comes 9 days before Diwali on ‘kartik ki chauth’, i.e., on the fourth day of the new moon immediately after Dusshera, in the month of ‘Karthik’ (October-November). The term ‘Chauth’ means the ‘fourth day’ and ‘Karwa’ is an earthen pot with a spout – a symbol of peace and prosperity – that is necessary for the rituals. Hence the name ‘Karwa Chauth’. Karwa Chauth is glorified and also widely solemnized by Hindus and Sikh living in the northwestern part of India. Karva means clay pot while chauth means fourth. Karwa chauth commemorates the fourth day that follows the full moon in the Kartik month of the Hindu calendar. This festival is typically celebrated immediately after the autumn harvest. This is the best time to meet friends and relatives and exchange gifts. During this festival parents send various gifts to their married daughters. 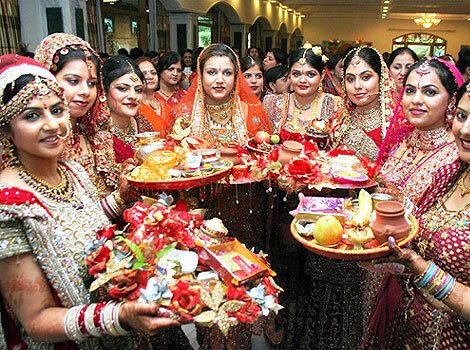 Karwa chauth is known for its extraordinary observance rate among married women in certain parts of India. Karwa chauth is celebrated in different ways depending on the region where a person lives. During this festival, jewelry, clothes and gifts are received from both the woman’s mother-in-law and mother. All married women wear wedding day outfits once again and apply mehandi. There are many similar stories that are associated with karwa chauth from one part of India to another. During this particular day various items such as karwa, which is an earthen pot that has spout are actually collected and worshiped, is offered to the Goddess Parvati and Lord Siva. Usually the festival does not end until the moon is fully seen at night. During this festival an elderly woman is supposed to narrate a karwa chauth story before this fast is over. Married women keep a strict fast and do not take even a drop of water. They get up early in the morning, perform their ablutions, and wear new and festive raiment. Shiva, Parvati and their son Kartikeya are worshiped on this day along with the 10 ‘karwas’ (earthen pots) filled with sweets. The Karwas are given to daughters and sisters along with gifts. It is the most important and difficult fast observed by married Hindu women. (Unmarried women, widows, and spinsters are barred from observing this fast.) It begins before sunrise and ends only after offering prayers and worshiping the moon at night. No food or water can be taken after sunrise. The fast is broken once the moon is sighted and rituals of the day have been performed. At night when the moon appears, women break their fast after offering water to the moon. In the evening, women dress up in special clothes, usually a red or pink sari or ‘lehenga-choli’ with gold woven ‘zari’ patterns. New brides often wear their bridal costume. All deck up in jewelry and wear ‘mehendi’ or henna patterns especially on the hands. Decorative ‘bindis’ on the forehead are a must for all women taking part in this celebration. Fasting women from all over the neighborhood gather in a group and narrate mythological stories that underscore the significance of Karwa Chauth. And, of course, all wives expect lavish gifts from their husbands! The fast of Karwa Chawth truly sets the merry tone of the fun and frolic, festivity and feasting that come in good measure during Diwali — the biggest festival of the Hindus.